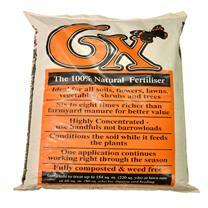 A 100% natural organic chicken manure fertiliser, produced in the U.K. for over 40 years and fully tried, tested and trusted. It's environmentally friendly, contains no peat or chemicals and is oven-heated at over 250°C to ensure it's sterile and weed/pathogen-free. 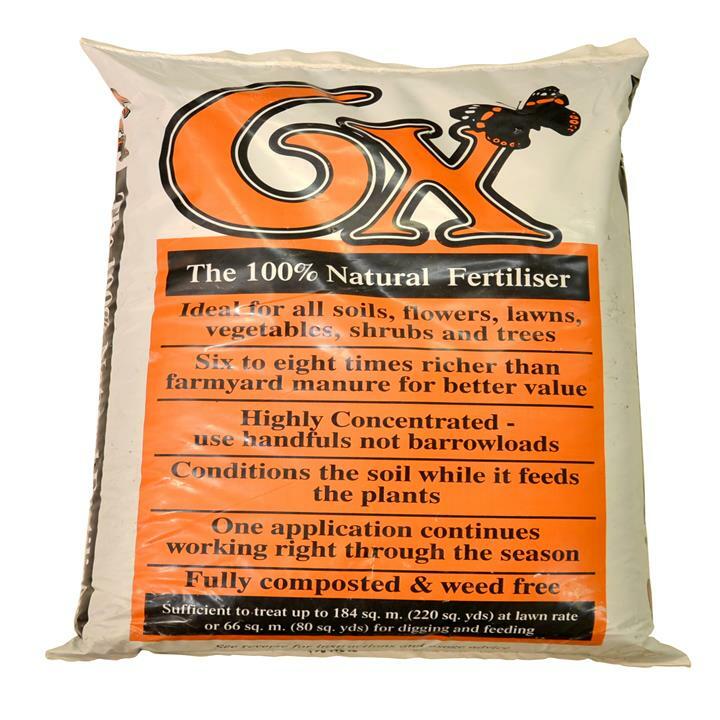 Six times richer than farmyard manure (one sack of 6X is equivalent to six sacks of manure), it provides balanced nutrition for shrubs, flower beds, vegetables and lawns and is extraordinarily economical. It contains all the nutrients and trace elements that plants require – plus the fibrous, organic, content needed to ‘condition’ the soil. If your soil is heavy, it will open it up to avoid waterlogging – if your soil is light, it will hold the moisture and add ‘bulk’ to stabilise it. So it promotes healthy growth and good root development, proper drainage and the activity of earthworms. It has a neutral pH balance which is ideal for all plants. 15kg will treat up to 184sq metres (220sq yds.). PLEASE NOTE: If you are allergic to chickens or feathers, avoid directly handling 6X or breathing the dust. A natural and trusted product!